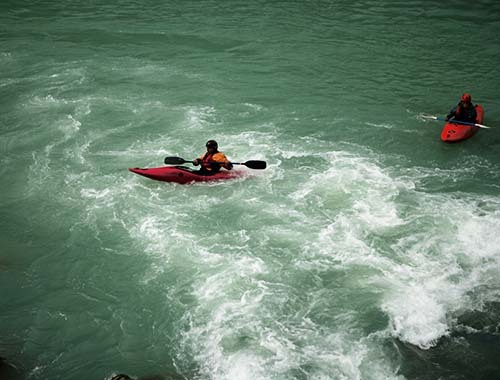 For a true adventure seeker, Bhutanese rivers provide the much-needed adrenaline-pumping escapade. The rivers are wild, running through narrow, serpentine gorges, deep ravines and across broad valleys offering a glimpse into the natural wilderness and beauty that defines the landscape of this Himalayan kingdom. The chilly glacier fed rivers will only add to the thrill. 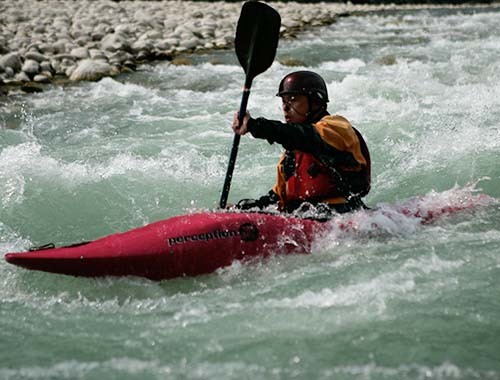 For kayakers and rafters, the rapids are more than tempting, be it in Wang Chhu, Sunkosh, Puna Tsang Chhu, Mangde Chhu, Kuri Chhuand Dangme Chhu and their tributaries. All these rivers have depths reaching above five meters and high currents. Add to it, the freshness and cleanliness. 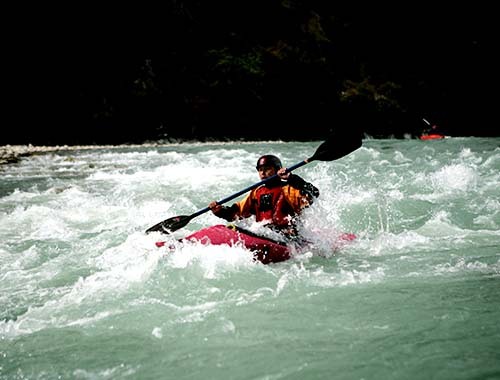 The best time for rafting and kayaking is between March and April in spring and November to December in late autumn. This seven day white rive rafting tour incorporates your fascinating cultural and adventure tour in the district of Paro, Thimphu and Punakha. 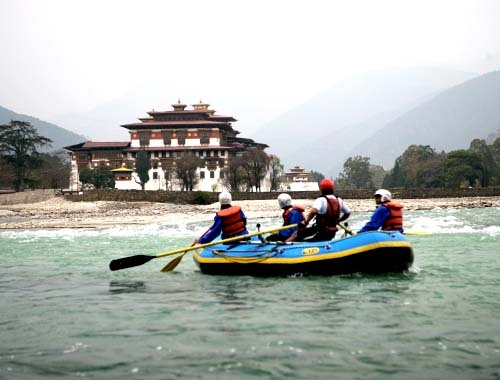 And for a true adventure seeker, Bhutanese rivers provide the much-needed adrenaline-pumping escapade. The rivers are wild, running through narrow, serpentine gorges, deep ravines and across broad valleys offering a glimpse into the natural wilderness and beauty that defines the landscape of this Himalayan kingdom. The chilly glacier fed rivers will only add to the thrill. Besides, river rafting adventure in Phochu and Mochu Rivers in Punakha, series of cultural tour and village hiking experiences are in offer. Further, coming in one to one contact with local folks, soaking up in a traditional hot stone bath and dining with local family are some of the main highlights of this journey. 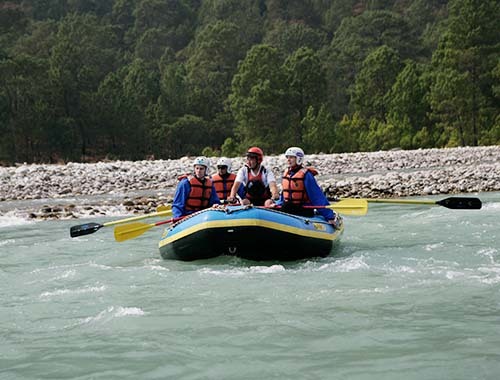 Experience the adrenalin pumping wite river rafting in phochu and mochu rivers in punakha. explore the ancient fortress and monasteries offering a vivid glimses of local culture and tradition. soak up in a traditional hot stone bath in a farmhouse and dine with local family. hike to the iconic Tiger Nest. enjoy drive excursion through unspoiled environment and fascinating landscapes. get to know about the local culture by coming in one to one contact with localk people. loose in fascinating village hikes. A pair of full sleeve shirts and pants to be worn while visiting the dzong, which houses government offices and monastic body. On arrival at paro international airport, your tour guide will receive with traditional welcome and drive you to a local restaurant for the arrival refreshment. Then commences your cultural sightseeing at Paro Ringpung dzong built in 1646, followed by a brief visit to National museum. Lunch will be served in a local restaurant in Paro town. After the lunch you will be driven to north of paro to pay a visit to the oldest buddhist temple and drugyal ruin fort at Drugyal community. Evening make a straight drive to the capital city, Thimphu for night halt. At free time explore the bustling Thimphu city. After the breakfast visit the national memorial chhorten, folk heritage museum, nationals institute of 13 arts and crafts and Jungshi paper factory. Lunch will be served in a local restaurant in the main town. Finishing the lunch, drive to Changangkha Lhakhang and get to know about the 12th century history of Drukpa Kadgyu. Following drive to Motithang Takin preserve and get mesmerized by the unique national animal of Bhutan. From the Takin preserve take a short drive to sangagang viewpoint and loose in a photography fun. From there, make a straight drive to Kuenselphodrang and witness the giant Buddha status apparently declared as the tallest of a kind made from Bronze material. If time permit take a short walk through kuenselphodrang preserve all the way to a viewpoint. The place offers perfect photography opportunity. 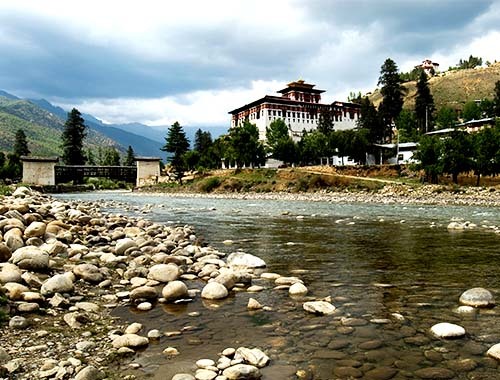 Evening stretch across the main town of Thimphu and immerse in a warm hospitality of your host there after. After early breakfast in the hotel drive to Punakha en route Dochula pass, the highest mountain pass between Thimphu and Punakha. The pass is famed for its scenic location-offering eye gazing views of Himalayan mountain ranges including the highest peak Mt. Kula Gangri on a clear sunny day. From the pass the drive will unwind through broad mix forested landscapes and valleys until you arrive at Lobesa. At Lobesa take a short hike to Chhimi Lhakhang through village and terraced rice field. And lunch will be served in a local restaurant. After the lunch, visit the majestic Punakha Dzong built in 1637 as a center of administration and house of central monastic body. The dzong potrays rich architectural designs and by far this fortress has become an apple of majority of foreigners eye. Evening retire in the hotel and soak up its warm hospitality. Early breakfast in the hotel and join the drive excursion to Kabesa village located in the north of Punakha. Today, first, you will hike to an impressive Khamsum Yuelay Namgyal Chhorten located on a majestic hilltop of Rubesa village. It is a gentle and 45 minutes hike across the terraced rice field and lush blue pine forest. Spend circa 30 minutes exploring the temple and reunite at the base to commence your river rafting adventure to Khuruthang. 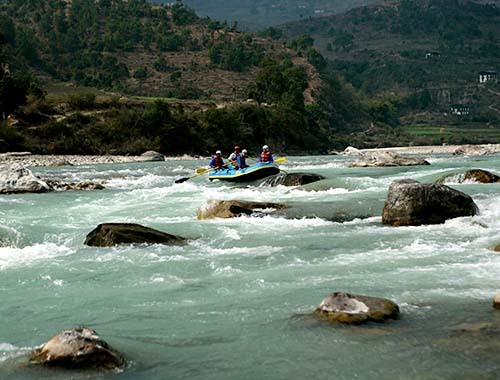 Mochu, literally meaning Female River offers breathtaking Himalayan river rafting experiences meandering across the valleys and scenic landscapes. You will be under the care of professional rafters and safety kayakers, who shall take you till Khuruthang, your ultimate rafting destination. If time favors, similar rafting will be done in Phochu, literally meaning Male River. The rafting shall commence from Samdingkha until Khuruthang. 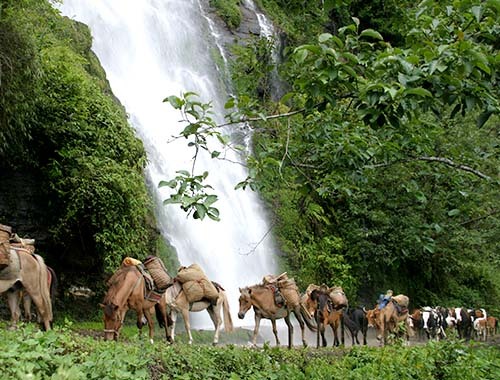 After rafting, retire in the hotel and freshen up for a fascinating evening walk toward Norbugang valley. Today you will make a reverse swing to Paro en route dochula pass following the national highway. At dochula pass take an hour-long hike to lungchu zikha hilltop and enjoy the panoramic views of lush valleys and Himalayan mountain ranges. 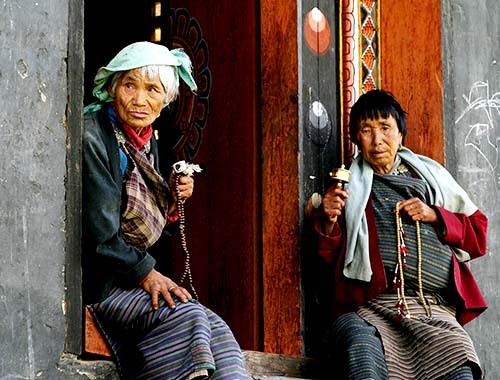 Arriving in paro, soak up in a warm hospitality of your hotel. Make an early depart to the base of tiger nest to conquer the best of early hour freshness. From the base the hiking trail will unwind through the mixed pine forest and gentel rising hills. Arriving the viewpoint cafeteria, you will be treat hot coffee and light snacks to re-energize your weary physique. From the viewpoint, an hour hike will reach you to the terrifying temple of Guru Rinpoche. Spend circa 30 minutes visiting various temples, followed by straight reverse to cafeteria to treat yourself a gourmet lunch. After the lunch hike back to the base from where you will be lifted back your hotel in the car. Evening soak in a traditional hot stone bath in a farmhouse followed by traditional dinner with local folks. Early break fast in hotel and drive to Paro International Airport to board your onward flight home.